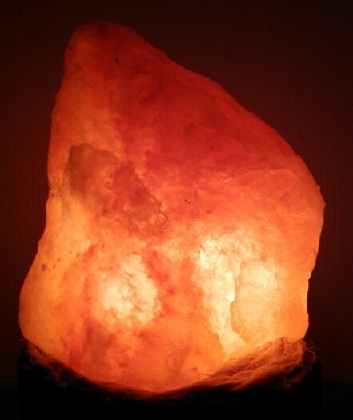 DESCRIPTION: Bolivian Rose Andes Mountain Salt is mined from ancient sea salt deposits in the Andes Mountain Range. 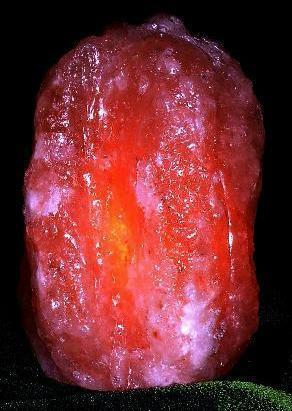 The beautiful rose color comes from the minerals contained in the salt. ORIGIN: Harvested from the Andes Mountain Range in Bolivia. ADDITIVES: Contains no anti-caking or free-flowing additives or conditioners. APPLICATIONS: Intended for a variety of gourmet applications. 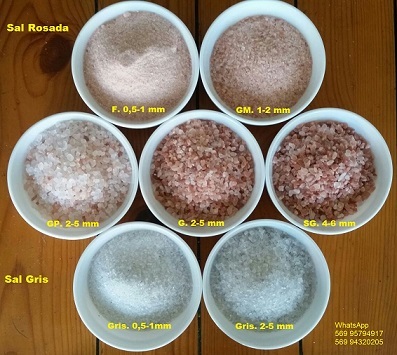 It is commonly used in salt mills and is also used for roasting, brining and seasoning. ALLERGENS: Does not contain allergens or specific components, and is suitable for the following diets: Vegetarian – Vegan – Lac­tose intolerance - Gluten intolerence. Salt does not contain any Melamine. GMO DECLARATION: The salt does not contain any genetically modified organisms (GMO) and genetic engineering is not applied during the production process. GMO contamination is excluded during the treatment of the product. 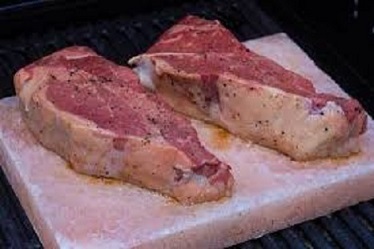 Salt does not fall within the scope concerning the traceability and labeling of genetically modified organisms. Serv. Size: ¼ tsp. Calories 0g. Serv. Approx. 1.076g Fat Cal. Og. If further lot analysis is required, additional time and costs for testinq will apply. 500 Grams, 1 Kg, 5 Kg, 10 Kg. From 1 to 3 mm. From 3 to 5 mm. familiar with most of them. Many of these uses were for simple things around the home before the advent of modern chemicals and cleaners. However, many uses are still valid today and a lot cheaper than using more sophisticated products. No additive is put in. Andes Gray Salt is hand harvested from the Andes Mountain range in Bolivia. Snowcapped peaks of extinct volcanoes look down upon a huge salt desert, once a large inland sea, covered with volcanic lava. 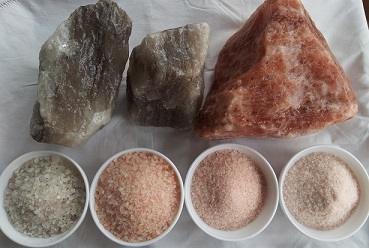 The light rose, orange & Gray color of Bolivian Salt makes it gorgeous when presented in a dish tableside or in a clear salt grinder. For more than 3 million years, a layer of volcanic lava has covered these rose salt deposits – protecting them from pollution, preserving their pure taste and infusing this gray salt with essential minerals. 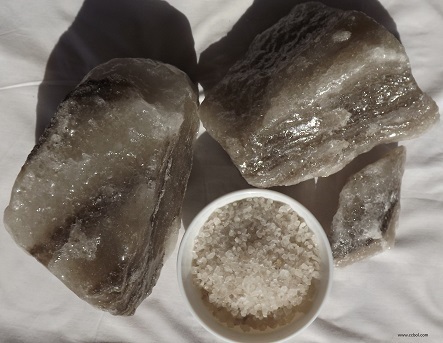 Now, Bolivian Gray Salt is hand-harvested and hand-processed, making this ancient treasure from the Andes Mountain Range in Bolivia available in your kitchen and on your table. 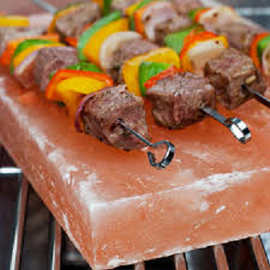 The rich, pure taste of Bolivian Gray Salt matches its elegant and intriguing appearance. Gray Salt contains many essential minerals including iron, calcium, potassium and magnesium. In addition, Gray Salt has less sodium per serving than other salts. Uyuni salt lake is the biggest salt lake in the world. 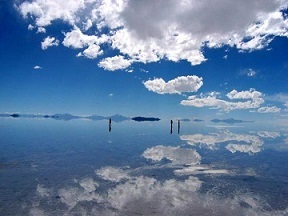 Uyuni is settled 3650m highland above sea level and boarderd of Chili. Where is windy and shiny weather conditions. Undere these hard conditions make wondereful salt in the summit of the Andes. Salar de Uyuni. It is located in the Potosí and Oruro departments in southwest Bolivia, near the crest of the Andes, 3,650 meters high. The major minerals found in the salar are halite and gypsum. It is also a significant tourist destination; highlights include a salt hotel and several so-called islands. If the water is unable to drain into the ground, it remains on the surface until it evaporates, leaving behind whatever minerals were dissolved. Over thousands of years, the minerals (usually salts) accumulate on the surface.